R to L: Sir Malcolm MacGregor of MacGregor. 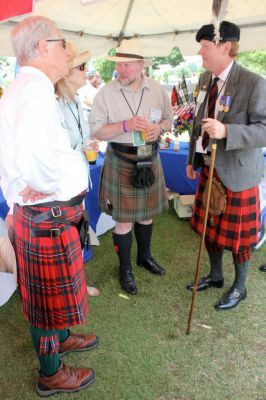 Bt., Chief of Clan Gregor and Romilly Squire of Rubislaw, co-author of "Scottish Clan & Family Encyclopedia" and Fellow of the Society of Scottish Armigers. Photo submitted by: Sir Malcom MacGregor of MacGregor, Bt.